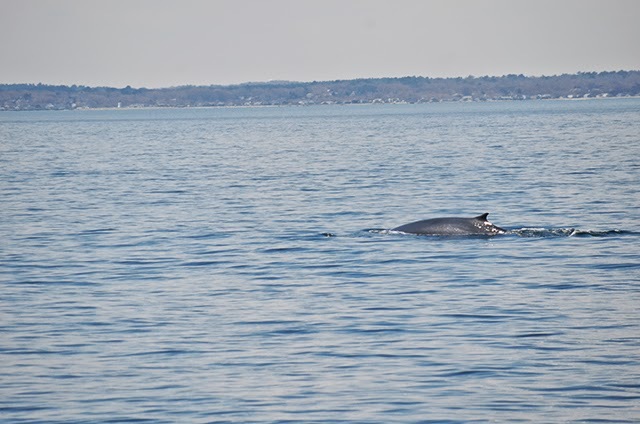 Today on the Cetacea we headed south in the direction of some earlier reports of whales, and also to try our luck where we had seen fin whales the other day. 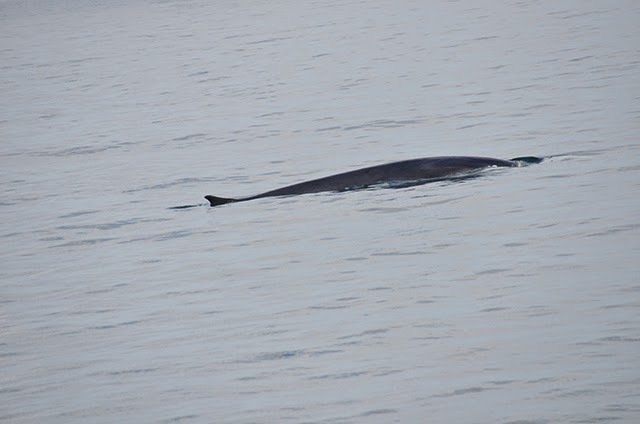 About 15 miles southeast of Boston near Scituate, we spotted the blow of a large fin whale, and shortly after we spotted another. At first these whales were sporadic and taking quick dives, so we headed further south for a bit in search of something else. While we did spot a minke whale and possibly the blow of a right whale, we decided to head back to where the fin whales were and ended up having great sea conditions to watch them! We observed one larger adult and a smaller juvenile, both deep feeding and traveling in the same area. 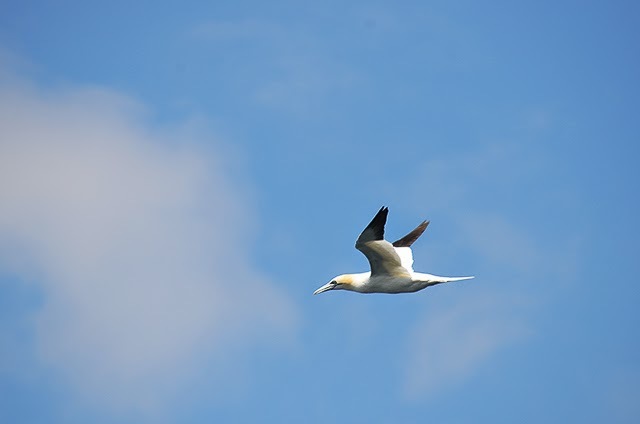 Also the northern gannets were spectacular today! Several diving gannets feeding around the fin whales, overall making it a great spring day on the water.